A discarded Chinese take-out box. The backside of a Star Wars sand crawler. The Washington Monument with the interesting bits lopped off. That’s what sprung to mind when confronted with the initial design of the Obama Presidential Center. In addition to the tall stone museum with notches and windows cut out at random, the proposal calls for a low-slung forum and library with greenery on the roof. It will be built in Jackson Park in Chicago’s South Side, not far from the Museum of Science and Industry. ​No, I don’t know what that means either. But the Obamas are going to use it as a community organizing bootcamp to teach new generations how to make hyperviolent Chicago an even less comfortable place to live and work. ​As far as the architecture goes, I’m confused about the intent. Their first mistake was choosing Tod Williams Billie Tsien Architects, the duo responsible for turning the light, modernist Phoenix Art Museum into a turgid eyesore that grumbles “keep out” to passers-by. If I had to identify an architectural antecedent to their Obama design, it would be the broken necropolis built two millennia ago in the Kingdom of Kush. To be fair, modern presidential libraries are pretty bland affairs. 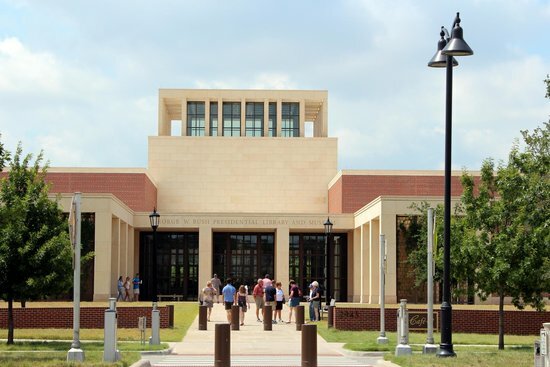 George W. Bush‘s complex looks like the headquarters of a mid-market insurance company while Bill Clinton‘s is a double-wide about to tip into the Arkansas River. 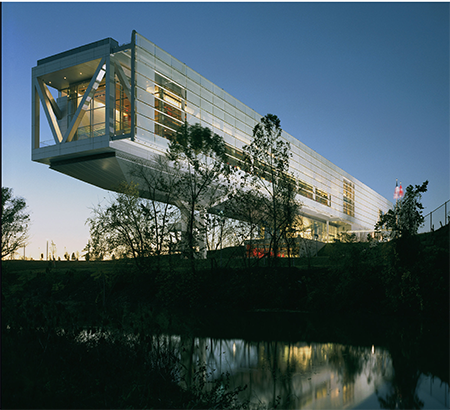 The only winner is the Reagan Library, but that owes more to siting than architecture. What are your thoughts: Is the Obama Center a hit or a bust?